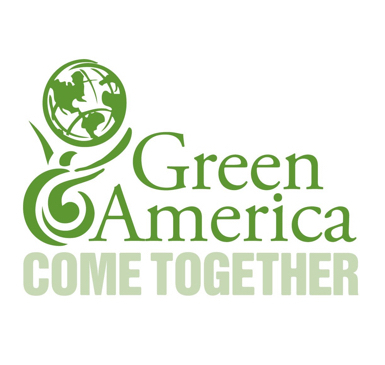 Brought to you by Green America and Social(k), national leaders in advancing socially and environmentally responsible investing (SRI). Whether you are an employee or an employer, you may have questions about how to make socially responsible retirement options available at your workplace. An Employee wishing your employer offered a retirement option that reflects your values and that promotes corporate responsibility? An Employer wishing you had straightforward tips at your fingertips for how to offer your employees retirement benefits that reflect your business/organization’s values and that give employees investment choices that speaks to their values? If so, then you need our free resource -- Plan for a Better Future: How to Add Socially & Environmentally Responsible Investment Options to an Employer’s Retirement Plan. Implement clear steps to set up your new plan. This “how to” guide also includes a sample employee questionnaire you can use to determine employee interest in retirement investment, pointers for helping your workplace decide to offer SRI retirement options, and answers to questions about costs and changing retirement plans. Employers can align their benefits package with the values of their company/organization and of their employees – and strengthen employee morale and retention by offering a more robust benefits package. Download your FREE copy now of Plan for a Better Future: How to Add Socially & Environmentally Responsible Investment Options to an Employer’s Retirement Plan! Your investments make a difference for people and the planet!